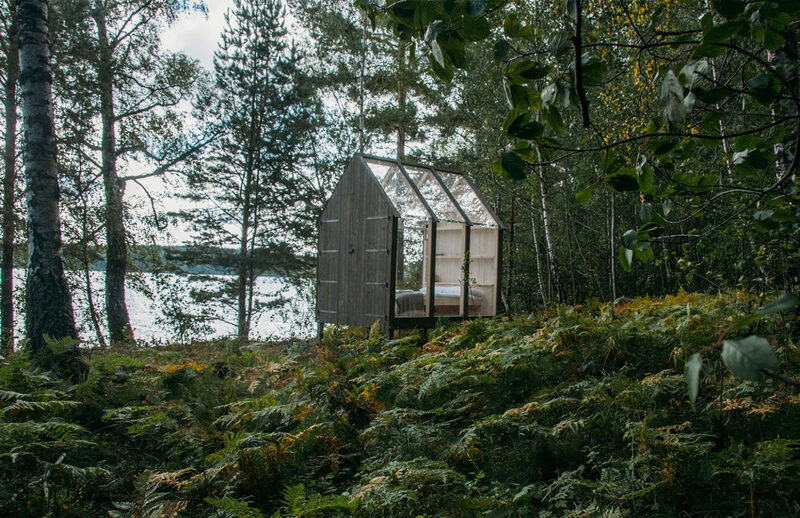 A series of glass cabins in Sweden’s Dalsland can reduce stress by 70% – according to a new study – and now you can book one. Last month Visit Sweden and West Sweden Tourist Board teamed up with researches from Stockholm’s Karolinska Institutet to conduct the case study into how allemansrätten (the freedom to roam) can improve mental and physical wellbeing. 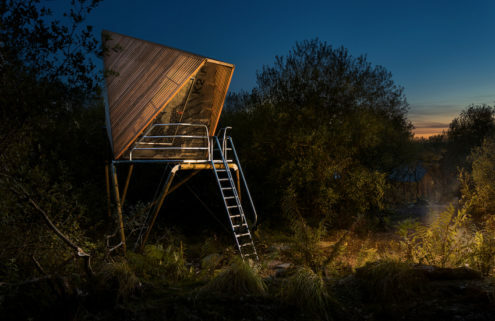 They invited five participants with high-stress jobs – including a police officer, broadcaster, journalist and taxi driver – from Paris, London, Munich, and New York to stay in the off-grid, wifi-less cabins. 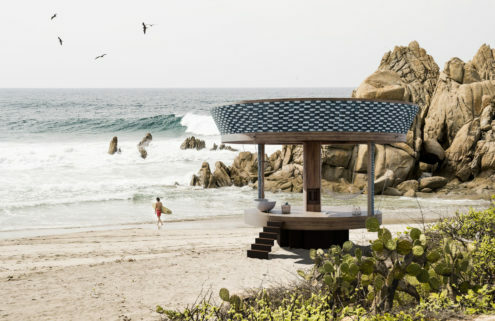 Researchers reported a significant improvements in their stress levels after 72 hours in the transparent lakeside cabins, including a decrease in their systolic blood pressure, anxiety levels and dropped heart rates. ‘On a 10-point stress scale, the participant’s stress levels decreased from 5.3 to 1.7 points, corresponding to an almost 70 percent decrease of stress,’ says Walter Osika, Researcher in Stress and Associate Professor at Karolinska Institutet. Participants also reported an increase in creativity and well-being. 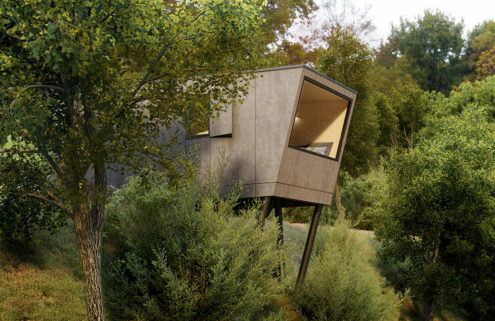 Trainee architect Jeanna Berger designed the glass and timber cabins on Henriksholm Island, which have panoramic views of the water and forest, and are furnished with just a bed and lamp. 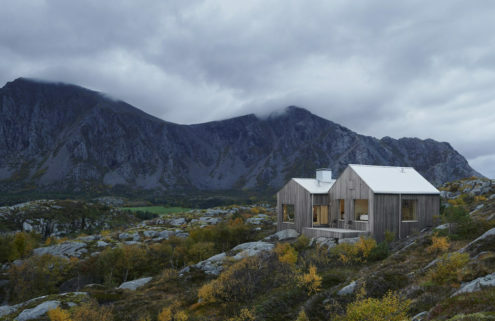 They are now available to book, with prices starting from 6695 SEK per person, including access to a sauna, fishing equipment and row boats, as well as meals. 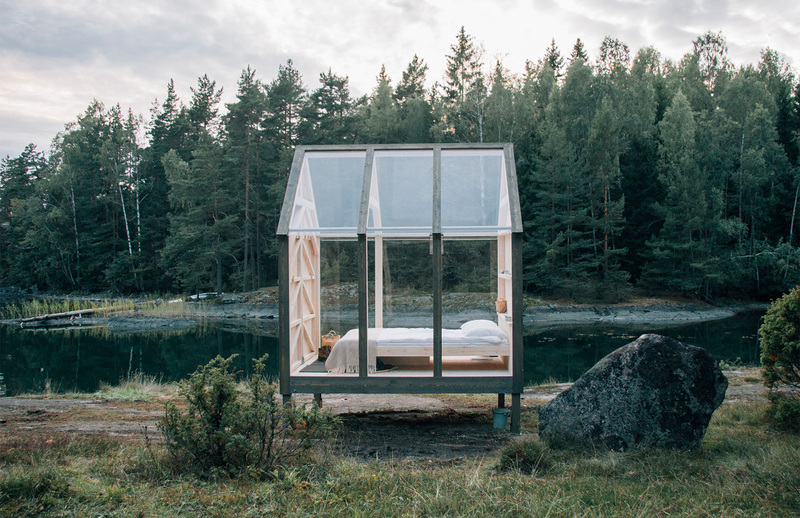 Additional 72-hour cabins have also been built in the grounds of Baldernäs Herrgård manor house, and above Lake Iväg.